What are the ski conditions like right now at Timberline Lodge? Read commentaries and see photos from fellow skiers and riders sharing their on-mountain experiences. 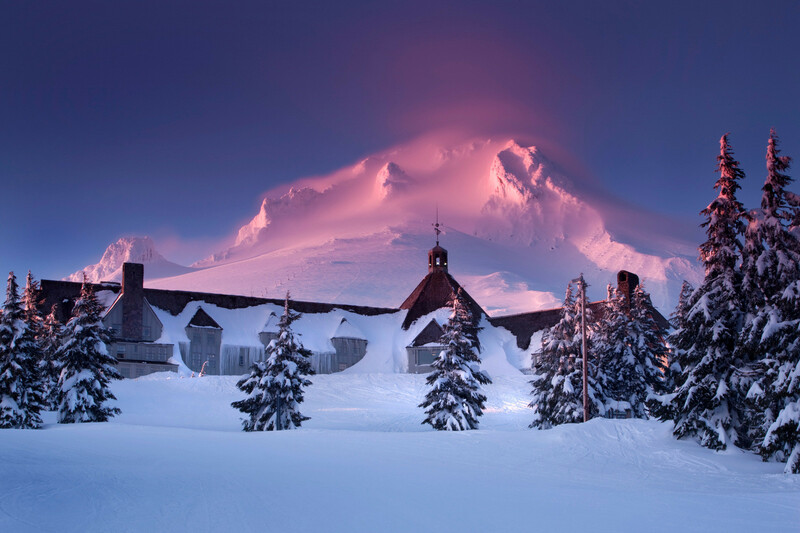 Check back daily for new user-generated firsthand reports from Timberline Lodge to see ski conditions, new snow and general stoke from the slopes along with images. Firsthand reports are submitted via the OnTheSnow Ski & Snow Report App. Download the free app to be part of the conversation. freshies to be had late afternoon....Palmer and magic mile shutdown last few days due to high winds. Freeze thaw is killing the black runs with solid ice, but most of the groomed runs are carveable. Bring your stiffer skis to charge through the chop. bluebird new years eve. what a great day. little slick in some places but was a great day. see ya next weekend. Fast packed powder under blue skies. No wind below tree line. Ice patches appeared late. great day today. started off cold. then some snow. then some rain. then some clearing. back to snow. ended with rain about 3 and heavy overcast. all and all great day.